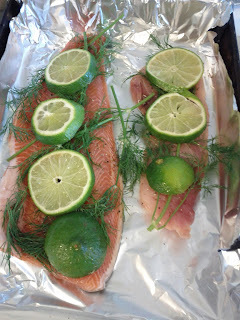 First you take some trout (season with salt and pepper), then you take some dill, cut up some lime and stack them onto each other in than order. 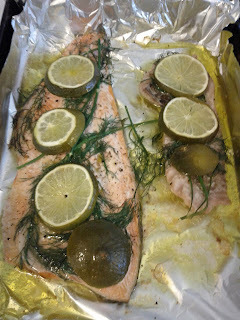 Then drizzle in olive oil and broil for 10 minutes. 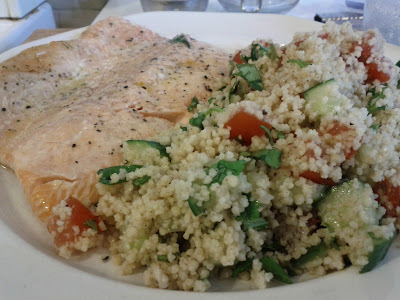 Serve with couscous or other light fare.